This is the time of year for having fun, sharing, loving and doing things together as families and communities. 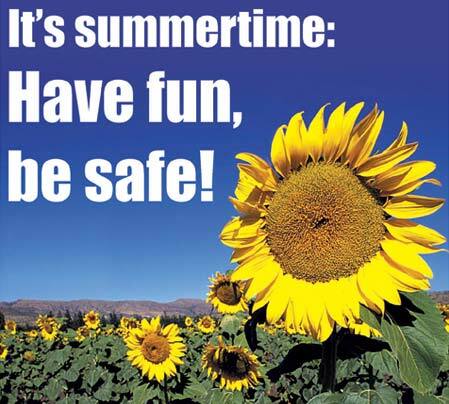 However, most importantly, this is the time for caring and being safe in whatever we do - be it on the roads, at home and on holidays. Many people will be driving, and to those we say don't drink and drive – please! To those having fun at home, we say: Do not drink and fight. If you must drink don't overdo it. If you are on holiday, make sure you spend your money wisely. Do not forget the safety and savings advice we give you inside this magazine. Talking about Vuk'uzenzele, we encourage the spirit of ubuntu that must be lived. The demand for the magazine is very high. Not everybody can have their copy in hand. We ask Vuk'uzenzele readers to share the magazine with their neighbours, friends and colleagues. This is what we expect every Vuk'uzenzele reader to do, especially because the holiday time is about sharing. This is our second festive season with you and we still want to enjoy many more with you – so be safe! We wish you a peaceful festive season and a happy New Year!